The November 2018 issue of Acta Crystallographica Section C Structural Chemistry marks a special anniversary of an exciting class of inorganic compounds: polyoxometalates (POMs). In their guest editorial, José Ramón Galán-Mascarós and Ulrich Kortz note that the very first POM structure, the so-called Keggin ion ([PW12O40]3−), was structurally characterized by James F. Keggin 85 years ago in 1933 using powder X-ray diffraction. This was an important breakthrough for POM chemistry, as from then on structural aspects became more relevant and allowed the field to be developed more rationally. In the same year, Michael T. Pope was born, who went on to publish the book Heteropoly and Isopoly Oxometalates in 1983, widely agreed still to be the best introductory text to the field. During the last half century or so, the development of POM chemistry has benefitted tremendously from single-crystal X-ray diffraction. Besides structural aspects, the study of the physicochemical properties of POMs has been developed tremendously in recent decades. The multitude of attractive properties includes controllable size, composition, charge density, redox potential, acid strength, high thermal stability in the solid state, solubility in polar/nonpolar solvents and reversible electron/proton storage. Such versatility renders POMs of interest for academic and industrial applications, especially in catalysis but also in fields such as medicine, magnetism, photochemistry and materials science. It is also worth mentioning how POM chemistry has contributed to the development of crystallography itself. The presence of POMs (in particular heteropolytungstates) in solution often allows large biomolecules to be crystallized, and facilitates X-ray structure solution and refinement due to their high symmetry, robust mol­ecular structure and heavy-atom content. The history of POMs has progressed from the seminal work of Keggin (working under the supervision of Lawrence Bragg and influenced by Linus Pauling) developing powder X-ray diffraction analysis in the early 20th century, to the role of POMs as cocrystallizing agents for large biologically relevant molecules such as ribosomes, finally leading to the 2009 Nobel Prize in Chemistry (Ramakrishnan, Steitz and Yonath). The contributions to this special issue on POMs provide an excellent overview of the current state of the subject, as well as providing updates to current research. 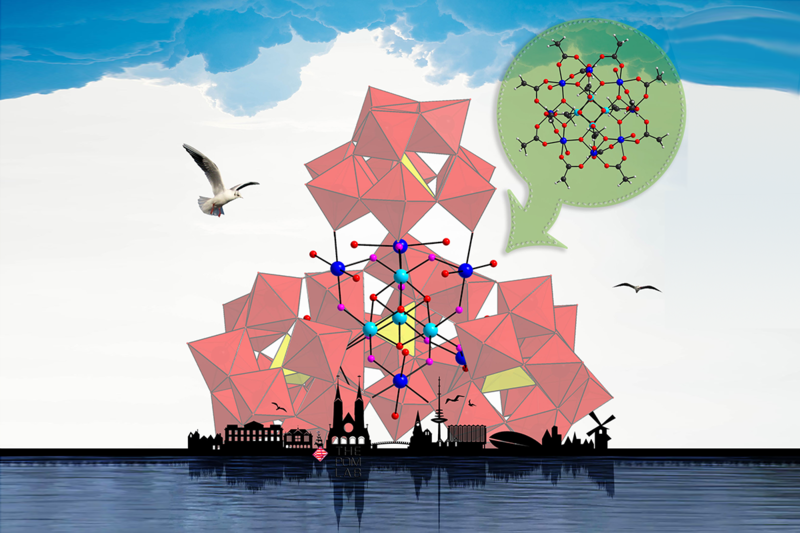 Acta C is transforming from a structural (XRD) solid-state journal to a more general journal covering all aspects of structural chemistry, and the guest editors hope that this special issue on POMs will assist the journal in achieving its goals.